Huis is an online store stocking products for your home. 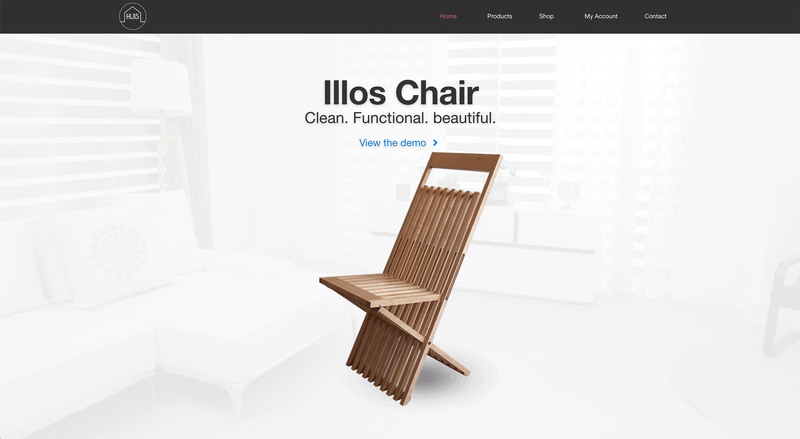 Valkyri built the online platform for Huishome, which stocks the Ilios chair. The web design was based around showing off the product images of the chair. With this in mind, we took the chair to a studio in Cape Town to take some photographs to use in the online store. We then edited the images and optimised them for the website. With the new content, we used it to show the customer the high quality of the products. The other focus was to optimise the process of checking out to your cart. Allowing the customer to have the best possible experience when purchasing a product online.